30 hour contracts are based on working 5 days per week on a 4 week rolling rota pattern. Staff are required to work 2 weekends out of 4 and the shifts can be anywhere from 8am to 8pm although most shifts are 6 hours per day. 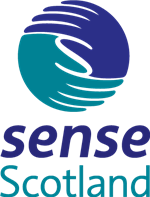 Sense Scotland offers an extensive range of employee benefits including;Ongoing training and development, generous annual leave entitlement, flexible working, family friendly policies, contributory pension scheme, employee assistance programme, cycle to work scheme, death in service benefit and Perkbox membership.